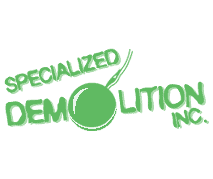 Specialized Demolition has been in the demolition, asbestos and environmental field since 2001. 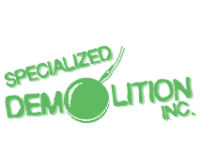 Our team is staffed with environmental professionals and are equipped with the latest technology to handle any environmental or demolition need you may have. The safety of our staff and yours is always the first priority. We analyze the best way of approaching every project before anything actually begins. SDI uses best practices of the industry while also ensuring each solution is the most cost effective available. As a licensed asbestos abatement contractor, you can depend on us to give a thorough inspection of your property. Call us at (269) 752-4452 for a FREE estimate today. All of our staff at SDI is certified in hazardous waste removal and asbestos abatement. 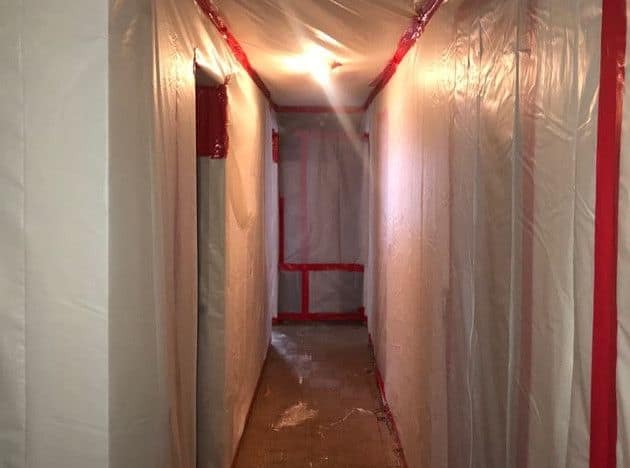 We are experienced in the removal of all types of asbestos material and follow the strict federal, state, and local regulations. Abestos file tile removal is done with hand tools, placed in plastic bags, and then located into a dumpster. Our staff is required to wear respirators and full body suits during the removal process. Specialized Demolition sets up full containments when removing friable asbestos (air cell pipe wrap) and will have air monitoring at all times. Our staff are in full respirators and full body suits. SDI sends out air monitoring samples to be read by the third part to make sure they pass before the containment is removed. Started our service in 2001!